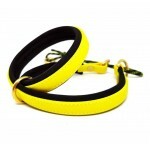 Buckled collar in Beta Biothane, with standard or brass hardware. 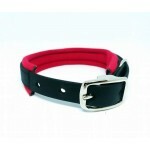 Embellished with a line of ..
Neoprene lined buckle collar in Beta Biothane, with standard or brass hardware. 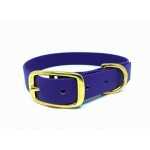 Biothane is ..
Buckled collar in Beta Biothane, with standard or brass hardware. Biothane is a waterproof, ..
Limited Slip collar in Beta Biothane, with standard or brass hardware and optional waterproo..
Martingale collar in Beta Biothane, with standard or brass hardware and optional waterproof neopr..